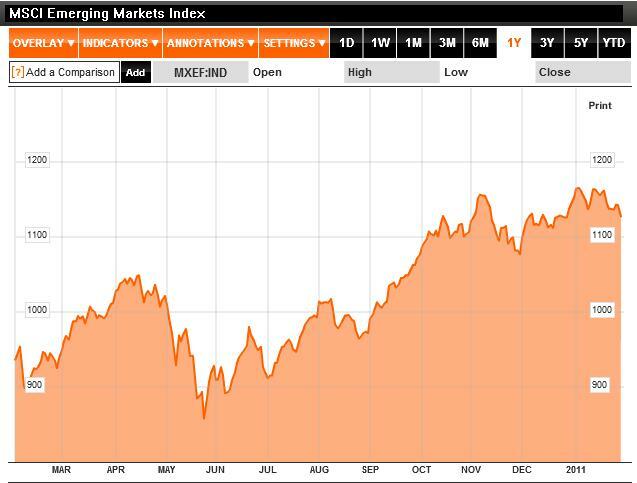 Emerging Market Dilemma: Currency Appreciation or Inflation? By now, we’re all too familiar with both the so-called currency wars and its underlying cause – the inexorable appreciation of emerging market currencies. As more and more Central Banks enter the war in the form of forex intervention and capital controls, however, they are inadvertently stoking the fires of price inflation. They will all soon face a serious choice: either raise interest rates and cease trying to weaken their currencies or risk hyperinflation and concomitant economic instability. This dilemma is fairly basic: a Central Bank cannot simultaneously control its currency and conduct an independent monetary policy. For example, if it seeks to adjust interest rates to serve domestic economic goals, it must understand that this will have unavoidable implications for demand for its currency, and vice versa. These days, that dilemma is becoming increasingly sharp. 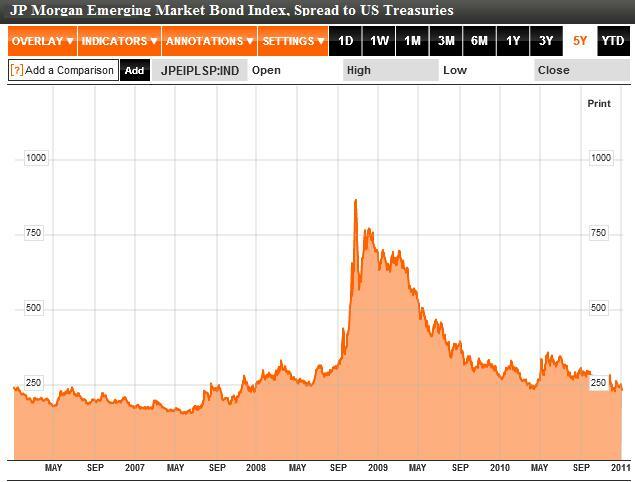 Inflation in many emerging markets is rising to dangerous levels, real interest rates or negative, and all the while, latent pressure continues to bubble under their currencies. The problem is that investors have become so desperate for yield that they are willing to tolerate negative real interest rates in the short-term if they believe that interest rates and/or currencies will inevitably rise over the long-term. While capital controls have forced a modest decline in the carry trade, the expectation is that an inevitable tightening of monetary policy will soon make it viable once again. Due to the ongoing (perception of) currency wars, emerging market Central Banks are trying to hold out for as long as possible, lest they make themselves into sudden targets for carry traders and currency speculators. Some have already bitten the bullet. Brazil, for example, raised its benchmark Selic rate to 11.25% recently and indicated additional rate hikes will follow. 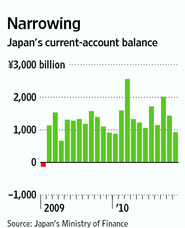 China has embarked on a similar path, but from a lower base. The majority of countries remain in firm denial, however. Last week, Turkey took the unbelievable step of lowering interest rates in a vain attempt to decrease pressure on the Lira. Most Central Banks believe that they can enjoy the best of both worlds by cutting access to credit and raising banks’ reserve requirements (in order to combat inflation) and maintaining strict capital controls (in order to limit inflation). While they should be patted on the back for creativity, such Central Banks must understand that their efforts are probably doomed to fail over the long-term. That’s because currency investors understand that only a masochistic, short-sighted Central Bank would pursue a weak currency policy in spite of rising inflation for a sustained period of time. Unless economic growth slows (which is unlikely without certain policy measures) and/or inflation magically abates (due to steadying food/commodity prices, etc. ), they will eventually have no choice to concede defeat. 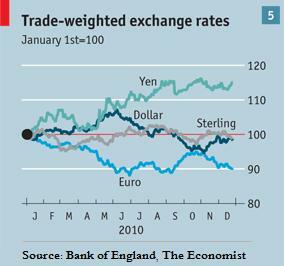 “Central banks view the level of exchange rates as the priority rather than using them to help slow inflation. Once you start targeting multiple objectives, the odds for policy mistakes increase,” summarized one strategist. 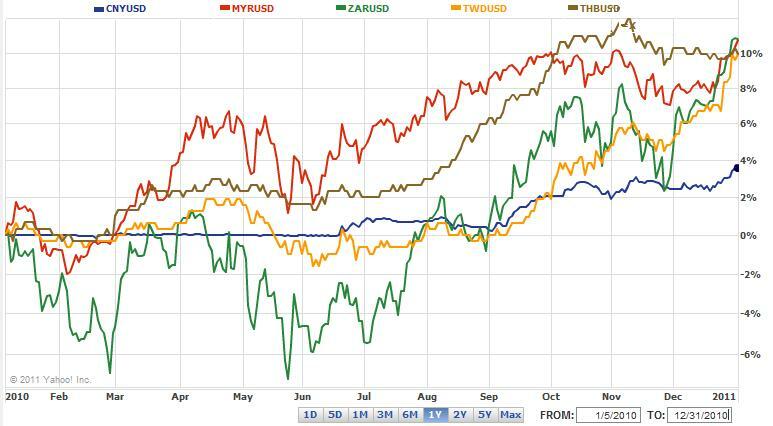 The only win/win solution involves a simultaneous appreciation of all emerging market currencies. This would alleviate some inflationary pressures without altering the competitive dynamics of national export sectors and negatively impacting economic growth. 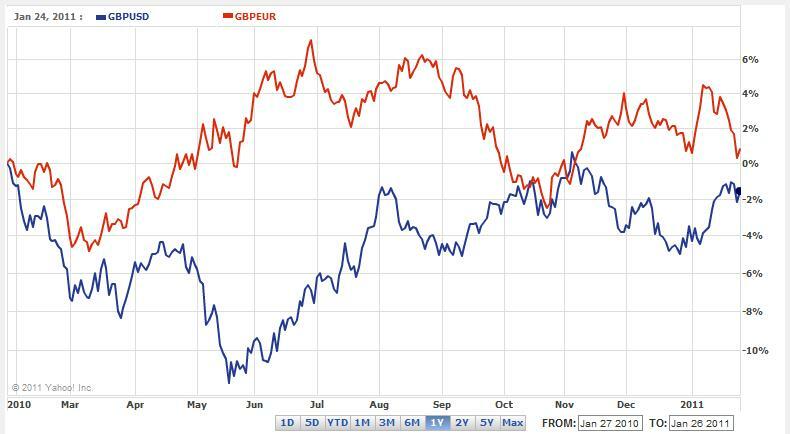 According to the Financial Times, “There could be a surprise agreement to rebalance currencies at the Group of 20 this spring, although the failure of its November summit does not augur well.” Besides, any agreement would probably be in the form of a reiteration of the status quo, in which emerging markets independently (rather than in concert) pursue similar economic policy objectives. For better or worse, emerging market governments have started to refocus the blame for the currency wars away from the US and towards China. Regardless of whether the US is at fault for its quantitative easing program, emerging markets compete with China – and its allegedly undervalued currency – in matters of trade. Pressuring China to allow the Yuan to appreciate, then, would ultimately go a lot further in ending the currency war and eliminating their predicament than screaming at the Fed for flooding the world with Dollars. Due to a new President and shifting politics, Brazil is angling to force the issue. Given that China is currently in the same boat (rising inflation with low interest rates), this might be the straw that breaks the camel’s back. 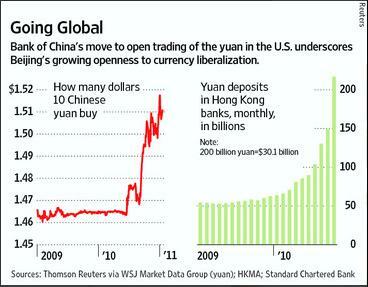 “China may be more sensitive to what the other major emerging market countries think about its currency. It undermines their moral high ground when it’s Brazil criticizing them instead of the U.S,” observed one analyst. In any event, barring some unforeseen crisis and a flare-up in risk aversion, emerging markets are expected to continue attracting outside capital (more than $1 Trillion in 2011 alone), and their currencies are expected to continue their steady, upward march. In a nod to the growing importance of forex ($4 Trillion per day and growing! ), Dow Jones recently announced the development of a new forex news service. While many of the features may only be available at some expense to professional subscribers, retail traders should still enjoy some benefit. DJ FX Trader will apparently aim to solidify Dow Jones position in forex news, while enhancing its stature in the forex information space. Towards that end, its news coverage will be backed by a staff of more than 100 – which have already been instructed to “seek out interviews that could move foreign exchange markets,” while its information offerings will be supported by its investments in algorithmic trading technology, the hiring of former currency traders, and use of a comprehensive outside data feed. Of course, most of the advanced features will be made available only to those that pay a hefty subscription fee, estimated at more than $100,000 per year. (Bloomberg Terminal, by comparison, costs about $20,000 per year.) It’s not clear exactly what that will include, although for that price, you would expect nothing less than real-time quotes for all currencies on all major exchanges at all times. Its software package would presumably be the the best available, with the ability to run multi-variable trading strategies that execute instantaneously and automatically. You might wonder why I bother to report on a service that will be prohibitively expensive for almost all retail forex traders. As I reported last week, a recent Federal Reserve Bank study showed that the effectiveness of technical analysis has gradually declined over the last few decades. As a result, the only way to consistently profit is through the use of increasingly sophisticated trading strategies and instantaneous and comprehensive access to information and rates. Similarly, the majority of currency traders (sadly in my opinion) rely on leverage and rapid-fire trading to eke out small gains on each trader. Being even one second late and losing to other traders (or scammed by your broker, as the CFTC has alleged) could mean the difference between winning and losing over the long run. I’m not seriously encouraging anyone to consider plunking down $100K for DJ Forex Trader. Instead, I merely want to illustrate the gap in information that is forming between the “have” traders and the “have-nots.” As trading is increasingly electronic and algorithmic, and all technical analysis is performed by computers, I remain more convinced than ever that quality, fundamental analysis is the key to making money trading currencies over the long run. A few years ago, I wouldn’t deign to discuss such obscure currencies as the Chilean Peso and the Peru New Sol. But this is a new era! These currencies – and their Central Banks – are being thrust into the spotlight as they join more established Latin American countries in the fight to contain currency appreciation. 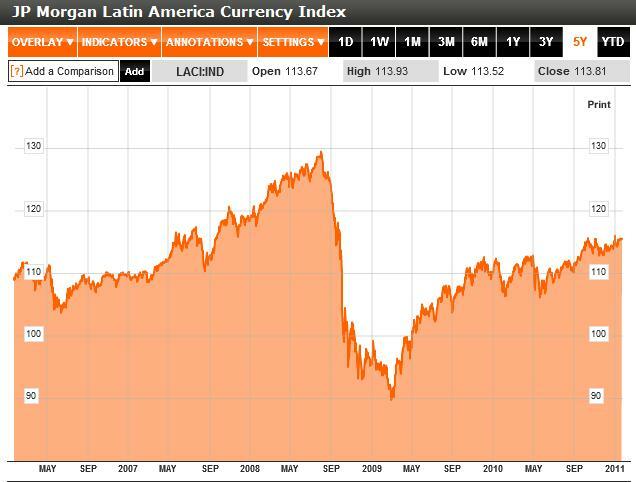 Major Latin American currencies have collectively appreciated more than 29% since March 2009. 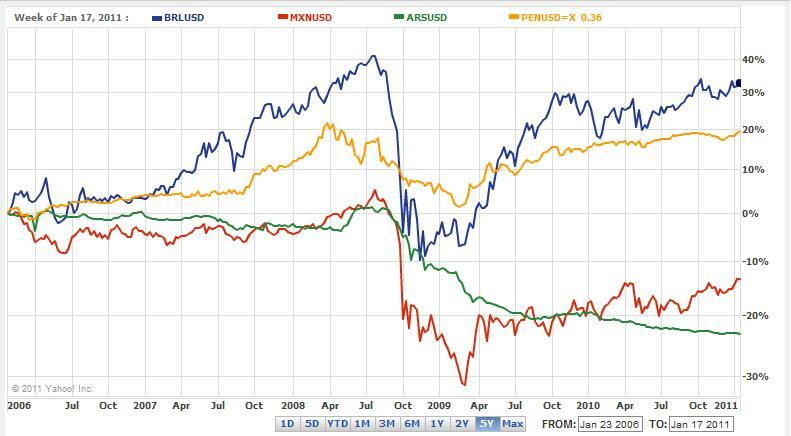 (When researching this post, I discovered the fantastically apropos JP Morgan Latin American Currency Index, which is based on the currencies of Mexico, Columbia, Brazil, Argentina, Peru, and Chile, and is displayed in the chart above). That includes a nearly 45% gain in the Brazilian Real and a 30% rise in the Mexican Peso, with more modest gains by the Peru New Sol, Chilean Peso, and Colombian Peso. The Argentinean Peso seems to be dragging the entire index down, having never recovered from the sovereign debt default in 2008. Over this period, capital has poured into Latin America: “Net private inflows surged to $203.4 billion last year from $57.5 billion in 2003, according to the World Bank. 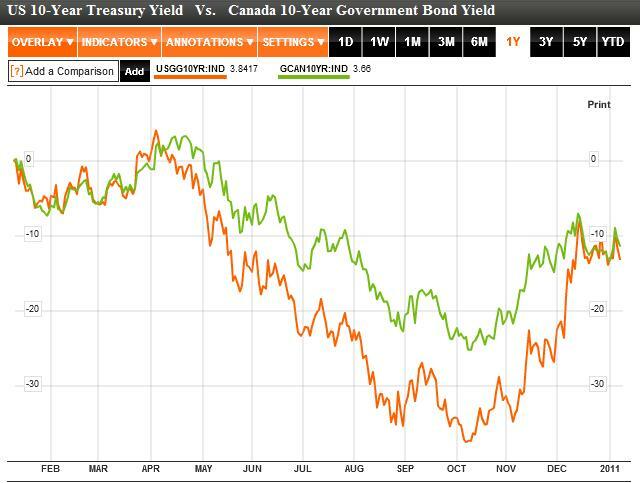 Stock market indices in the region are closing in on all-time highs, and bond prices have risen (i.e. 32% gain in Colombian bonds in 2010) to such an extent that spreads to Treasury Securities – the most common comparison – have narrowed to record lows. Perhaps this not for naught, as the region recorded economic growth of 5.7% in 2010 on the basis of rising commodities prices, aggressive/fiscal policies, and an overall global economic recovery. Faced now with rising inflation (6% in Brazil, 4.5% in Chile, 11%+ in Argentina, etc.) and declining export competitiveness, Latin American countries have moved to stem the appreciation of their respective currencies. Brazil, whose finance minister coined the term ‘currency war’ and has been one of the most aggressive interveners in the forex markets, has been the most active. Its Central Bank continues to buy massive quantities of Dollars, it has raised taxes on capital controls, and most recently it moved to limit the ability of banks to short Dollars as a means of betting on the Real’s appreciation. Meanwhile, “Chile, which hadn’t bought dollars in the foreign-exchange market since 2008, announced Jan. 3 it would purchase a record $12 billion, equal to 43 percent of the country’s currency reserves. In Colombia…the central bank is buying at least $20 million a day in the spot market. Peru purchased $9 billion last year, the second-biggest amount ever. While Mexico has so far refrained from intervention, it recently negotiated an IMF credit line which it could potentially tap for the purpose of holding down the Peso. All together, the Central Bank reserves of the six currencies mentioned above rose 16.5% in 2010 and now exceed $500 Billion. It’s difficult to discern whether this intervention is having any impact. On the one hand, the raising of reserve requirements will certainly make it difficult for domestic banks to short their own currencies. In addition, some foreign speculators are getting spooked about all of the uncertainty and have moved to limit their exposure to Latin America. “There might be every macro reason in the world to love the Brazilian currency, but the randomness of policy to try and stop appreciation makes us want to have a smaller position,” explained one fund manager. The problem, ultimately, is that Latin American countries want to have their cake and eat it too. The President of Colombia spoke recently of 5% GDP growth and the country’s desire to “put itself in the coming years among the most dynamic economies in the world,” but has whined about the upward pressure on the Peso. Brazil’s newly elected president has also spoken of becoming a global economic leader while its Finance Minister continues to sound off on the currency war. Meanwhile, Chile’s economy remains heavily tilted towards copper exports (it is apparently the world’s largest producer), and then wonders why rising prices have lifted the Chilean Peso. All blame the Fed’s Quantitative Easing Program for their currency woes and use China’s currency peg as basis for intervention. 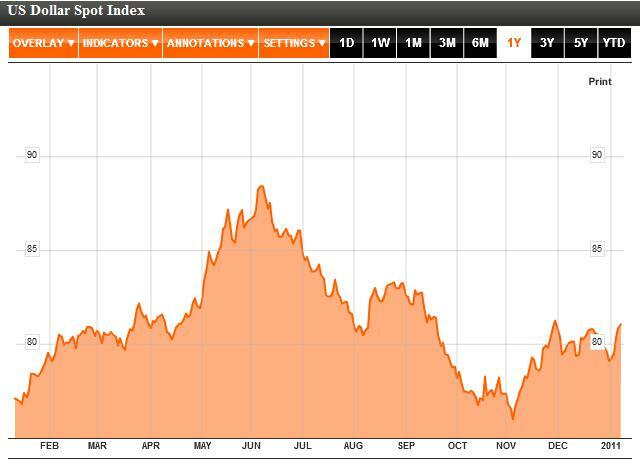 In short, the appreciation of Latin American currencies has largely mirrored fundamentals. 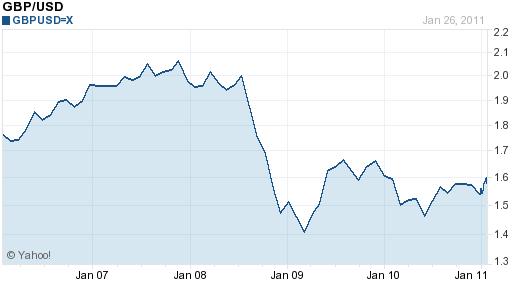 Individually and as a group, their exchange rates are still well below the bubble levels of 2008. Most of the rise over the last two years has merely offset the precipitous declines that took place during the height of the credit crisis. In addition, given the divergence in performance between individual currencies, it’s clear that investors (whether speculative or passive) are discerning. 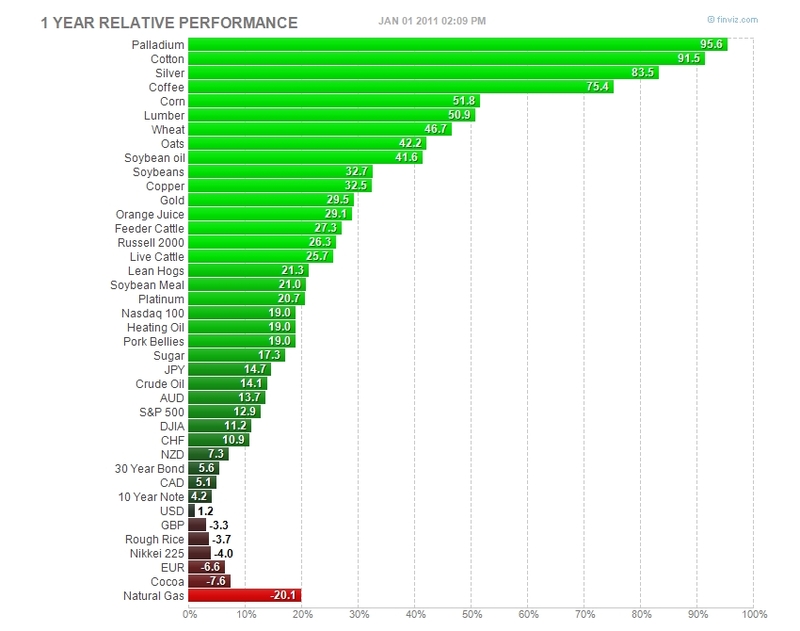 They have flooded the commodities producers with cash, while continuing to punish Mexico and Argentina over fiscal issues. At the very end of 2010, the Chinese Yuan managed to cross the important psychological level of 6.60 USD/CNY, reaching the highest level since 1993. Moreover, analysts are unanimous in their expectation that the Chinese Yuan will continue rising in 2011, disagreeing only on the extent. Since the Yuan’s value is controlled tightly by Chinese policymakers, forecasting the Yuan requires an in-depth look at the surrounding politics. While American politicians chide it for not doing enough, the Chinese government nonetheless deserves some credit. It has allowed the Yuan to appreciate nearly 25% in total, which should be just enough to satisfy the 25-40% that was initially demanded. Meanwhile, over the last five years, China’s trade surplus has fallen dramatically, to 3.3% of GDP in 2010, compared to a peak of 11% in 2007. In fact, if you don’t include trade with the US, its surplus was basically nil this year. Therein lies the problem. Despite the fact that prices in Chinese exports should have risen 25% (much more if you take inflation and rising wages into account) since 2004, the China/US trade balance has remained virtually unchanged, and its current account surplus has actually widened. As a result, China’s foreign exchange reserves increased by a record amount in 2010, bringing the total to a whopping $2.9 Trillion! (Of course, these reserves should be thought of as a monetary burden rather than pure wealth, to the same extent as the US Federal Reserve Board’s Balance Sheet must one day be wound down. In the context of this discussion, however, that might be a moot point). Some analysts expect a big move in the Yuan that corresponds with this week’s US visit by China’s Prime Minister, Hu Jintao. 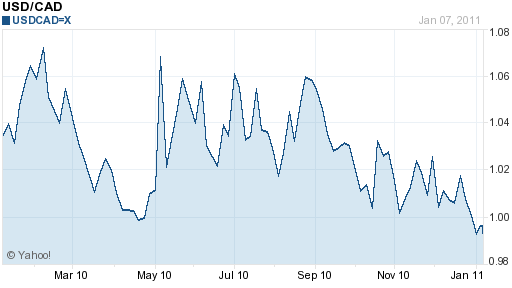 The average call, however, is for a continued, steady rise. “China’s currency will strengthen 4.9 percent to 6.28 by the end of 2011, according to the median estimate of 19 analysts in a Bloomberg survey. That’s over double the 2 percent gain projected by 12-month non-deliverable forwards.” As I wrote in my previous post on the Chinese Yuan, however, it ultimately depends on inflation – whether it keeps rising and if so, how the government chooses to tackle it. 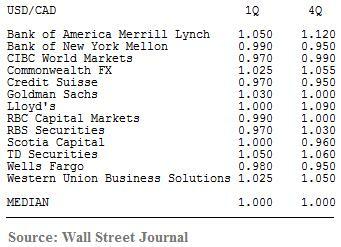 Euro: Which Investors Know Best? As the WSJ recently pointed out, there is a bizarre disconnect between equities and currency markets regarding the Euro. On the one hand, the Euro was the world’s worst performing major currency in 2010, and some analysts insist that its breakup is inevitable. 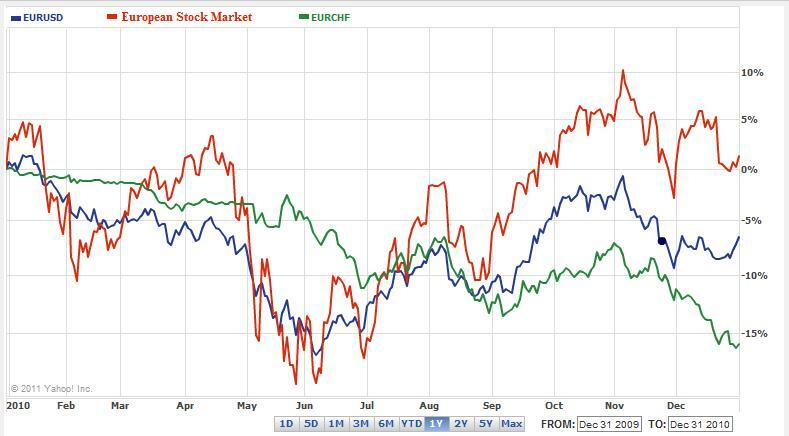 On the other hand, stock market investors are increasingly bullish about Europe: “We remain positive on the outlook for [European] stocks in 2011, with a favorable macro backdrop, solid earnings and attractive valuations.” Who’s right? In fact, both sets of investors are justified. 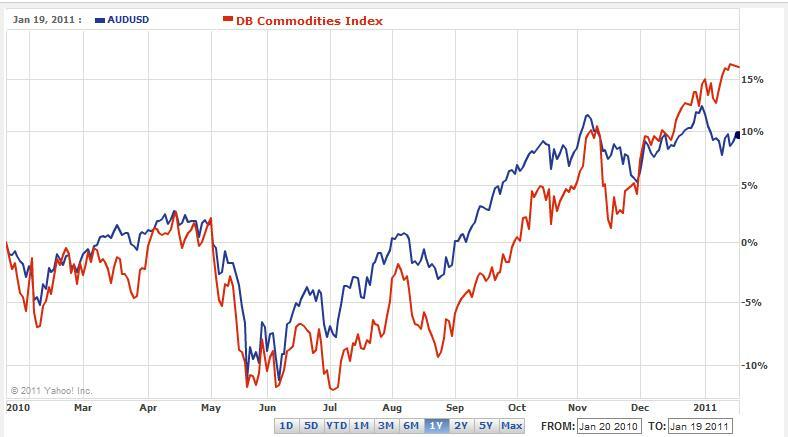 As you would expect, stock market investors are focusing on corporate earnings and the macroeconomic environment. In this regard, the fact that the EU economy expanded in 2010 – buoyed by a cheap currency and loose monetary policy – should certainly be reflected in a stronger stock prices. On the other hand, the sovereign debt crisis in EU has not yet abated, and accordingly, it is still being priced into EUR/ exchange rates. In the immediate short-term, it’s possible that stock market investors will prevail and that that their collective view will be adopted by currency markets. According to Deutsche Bank, “The euro may rise to $1.45 by the end of the first quarter of next year, as concerns about the single-currency area’s indebted periphery diminish.” Meanwhile, China recently pledged its support for the Euro via a promise to purchase up to €5 Billion in Portuguese Sovereign debt. Over the short-term, then, it’s possible that (currency) investors can be persuaded to temporarily forget about the prospect of default, and focus instead on the Eurozone’s nascent economic recovery. Over the medium-term, however, the markets will have no choice but to return their attention to the possibility of default, which is why the same team of analysts from Deutsche Bank “forecasts the euro will fall back to $1.40 by the end of the second quarter and to $1.30 by the year-end.” For example, Eurozone members will need to issue more than €500bn in debt in 2011, including €400bn that needs to be refinanced by Spain and Italy. In this context, China’s purchases will fade to the point of becoming trivial. Meanwhile, Moody’s has warned that it could follow up on its 5-notch downgrade of Ireland’s sovereign credit rating with further downgrades for Spain and Portugal. Fitch added that it might bump Greece’s rating to junk status, which would deal a significant blow to its solvency. Default is now rapidly on course to becoming a self-fulfilling prophecy, as fleeing investors cause yields to rise and credit ratings to fall, further scaring away more investors. To be fair, some analysts continue to insist that it is better to think of the sovereign debt problems as a crisis of credit, rather than of currency. In that sense, there is hope that a solution can be engineered (perhaps encompassing a default) that doesn’t endanger the existence of the Euro. 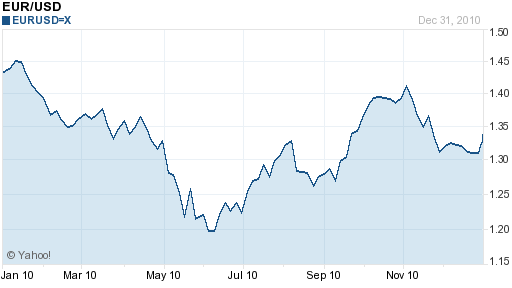 In addition, the Euro finished 2010 on a high note, formally welcoming Estonia into the fold. It is 10% above its June trough, including a 2% rise in the month of December. Given all of the bad news in 2010, that might just be cause for optimism.